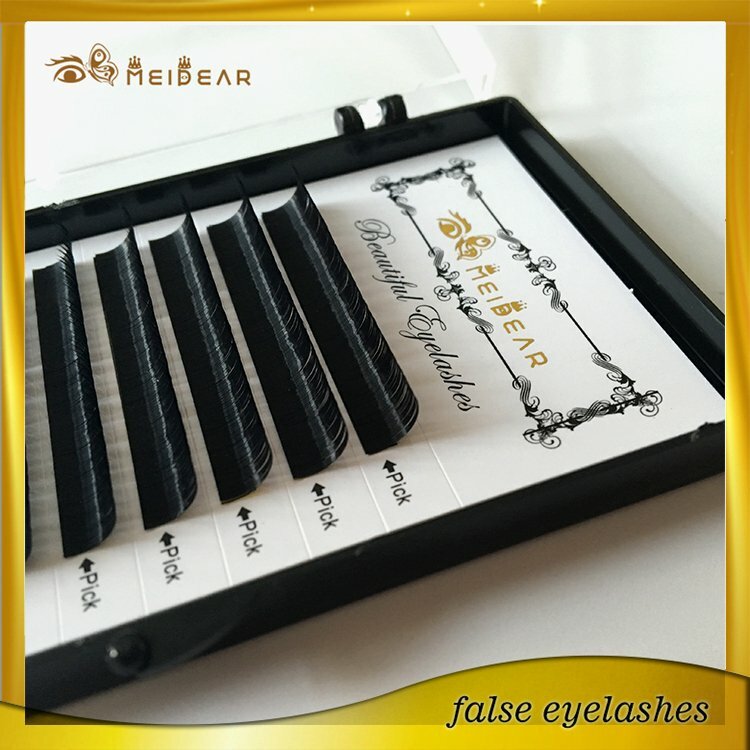 Single lashes extension private label.Single lashes extension are popular and great product that lengthens and thickens our own natural single lashes extension. 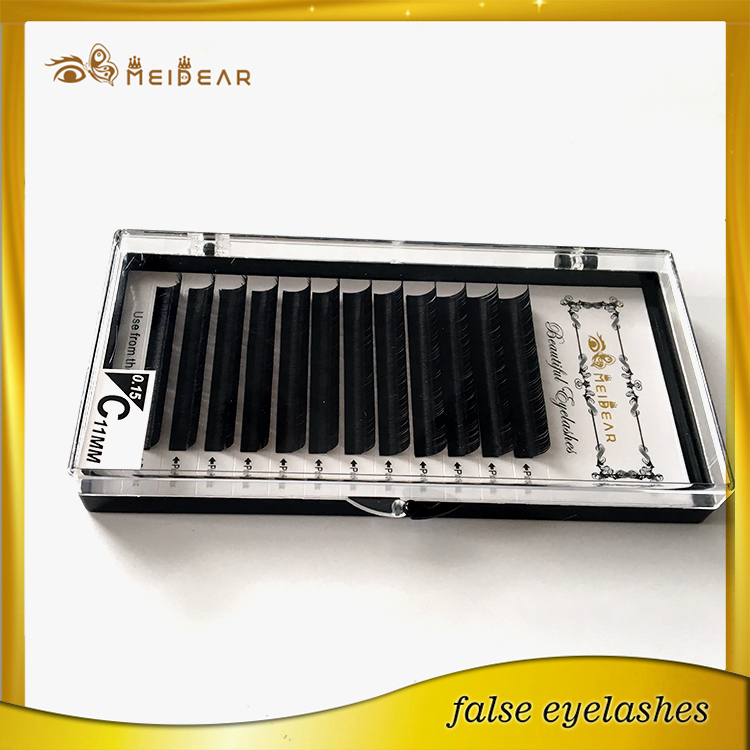 With single strands of synthetic eyelashes,single lashes extension are curved to replicate a natural eyelash. 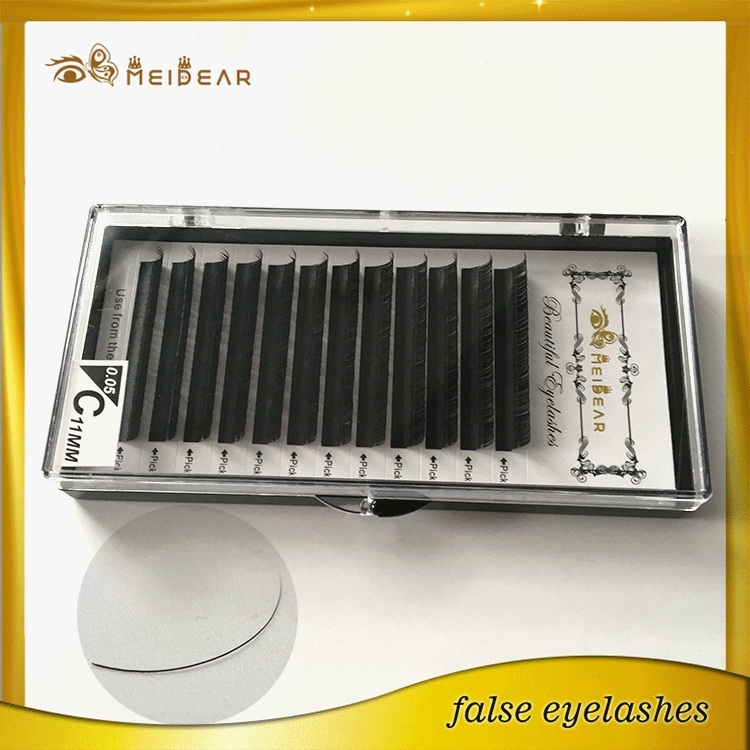 Meidear single lashes extension are applied to each individual natural eyelash one by one for charming, great looking. 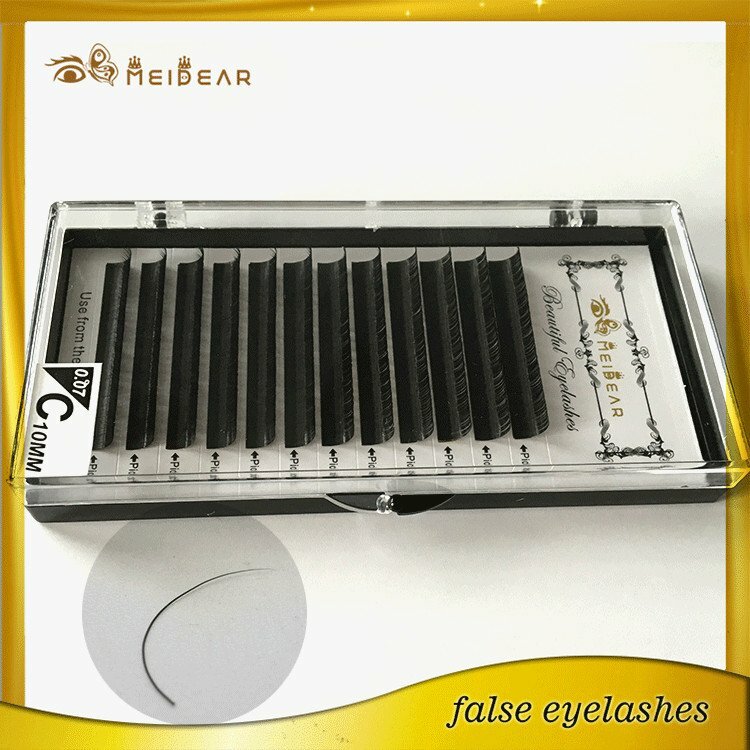 single lashes extension are really good for day to day wear. Single lashes extension are a perfect way to add volume and length to short/sparse eyelashes. They are also a great option when you are wanting to add drama to your look for a special occasion. 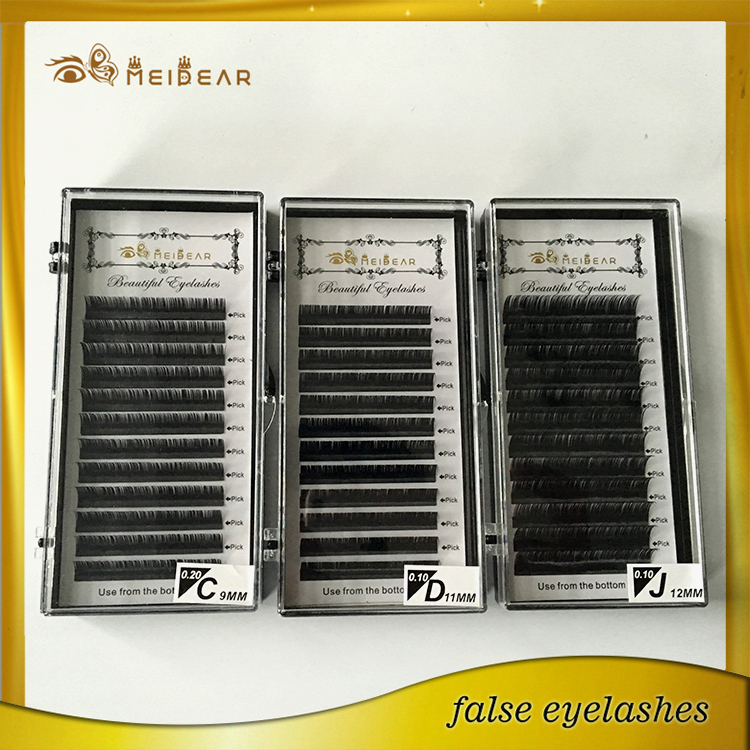 Many women don’t have enough time to apply single lashes extension everyday, or have patient to do it. 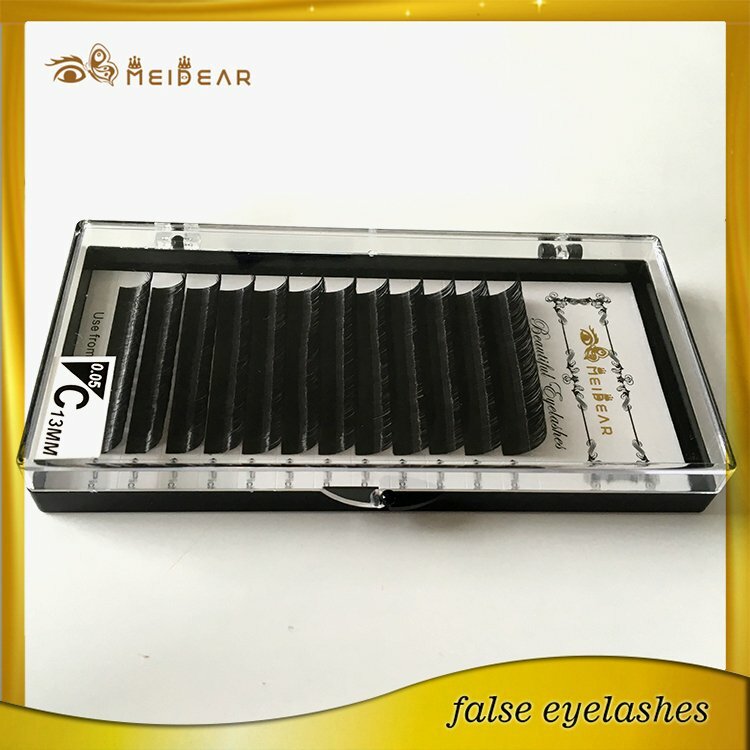 So single lashes extension have became more and more popular in recent years. 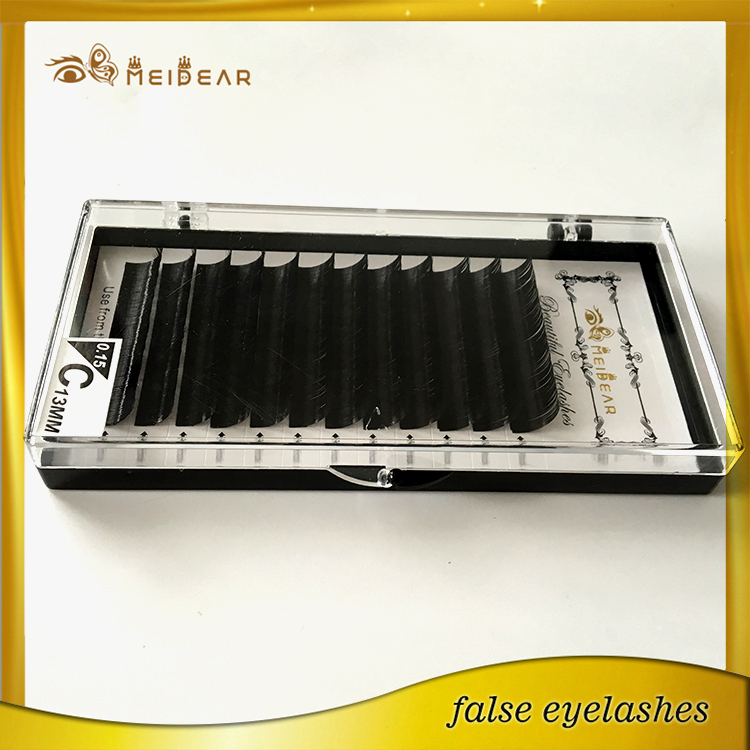 There are three kinds of single lashes extension are the most popular by now. 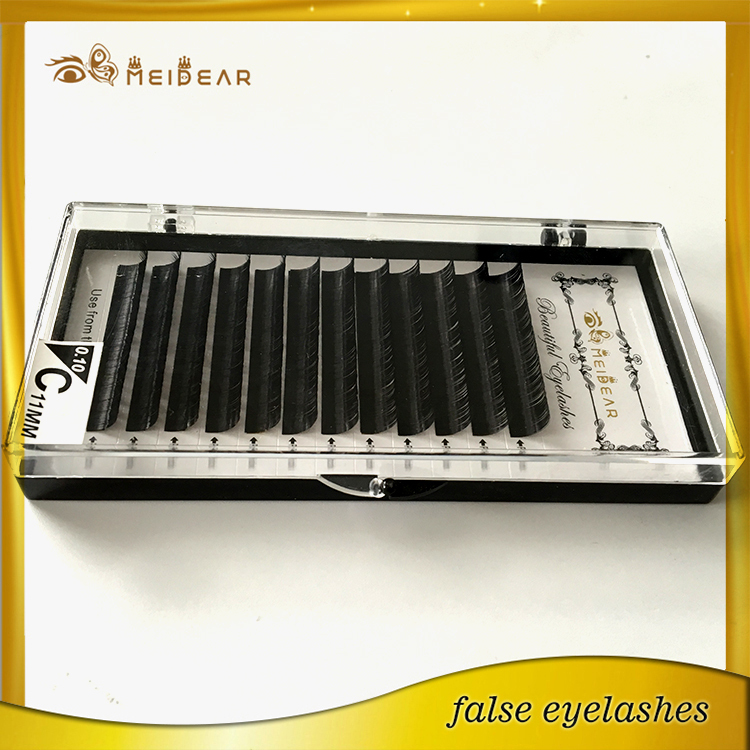 They are synthetic eyelash extensions,silk eyelash extension,mink eyelash extensions, the length ranges from 6mm to 17mm, the thickness is from 0.05 to 0.30. When selected, the eyelash extensions are applied one at a time using a specially formulated, semi--permanent glue that will not irritate the eye nor damage the natural lash. 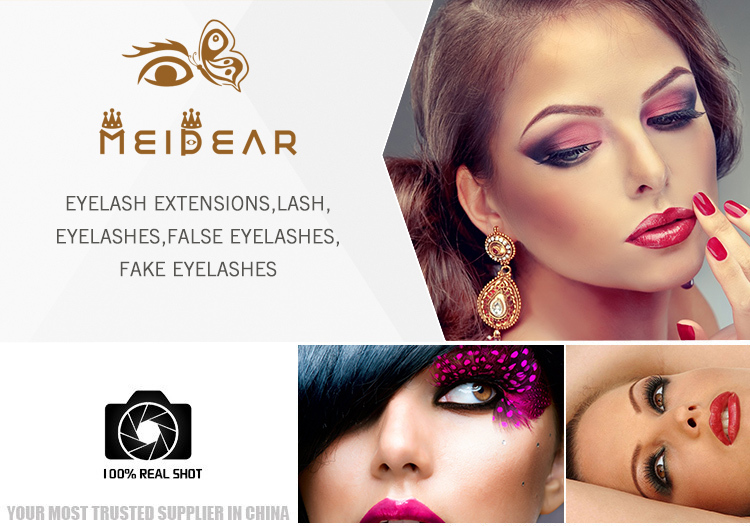 Get the best single lashes extension from Meidear eyelash manufacturer. 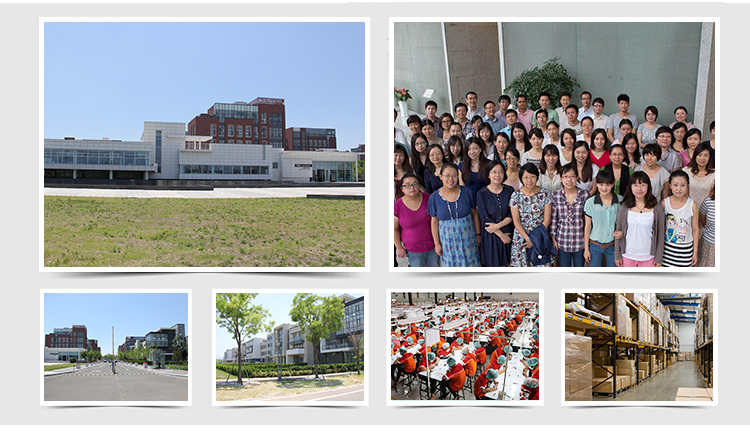 Our single lashes extension can make longer, thicker and fuller eyelashes for our customers. 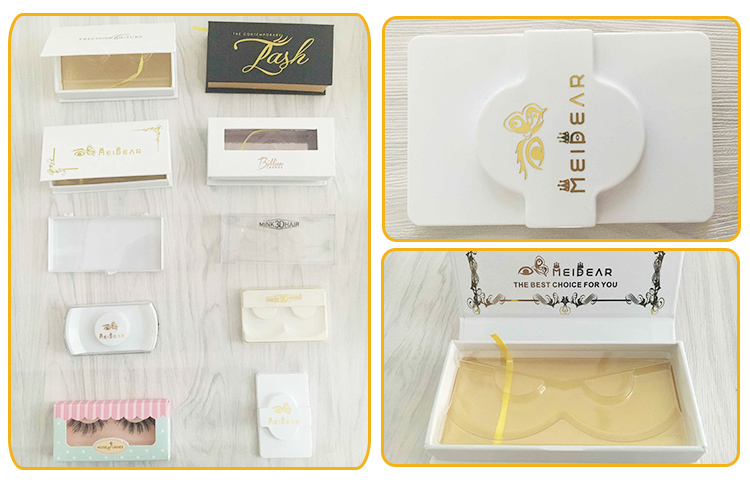 Many customers wholesale single lashes extension from Meidear, and they patented application technique provides a eyelash extensions line in a fraction of the time it takes in many salons. 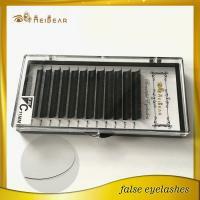 Wearing single lashes extension from Meidear makes charming looking with active lifestyle easier. Our customer can swim, exercise, and never need to worry about mascara. Wake up with beautiful eyelash from Meidear eyelash that will look great before, during or after workout, too! 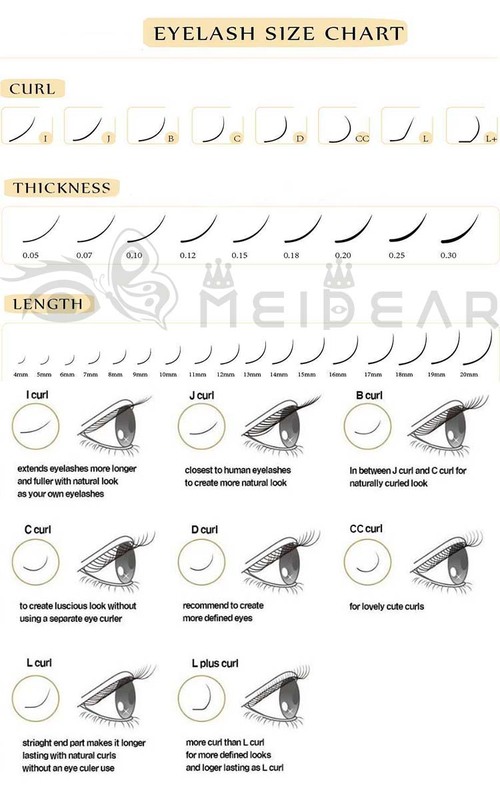 Meidear single lashes extension are not the same with self stick strip false lash or individual clusters of lashes knotted together that are a single event accessory, these semi permanent synthetic extensions are glued one by one onto the natural eyelash by using a specially formulated glue that will last about 2-4 weeks. Do eyelash extensions are a new beauty service around the world.